Kashmora Box Office Collection: The Diwali released Kashmora (aka) Kaashmora has opened with the grand collection over this world. The Kashmora movie had good reviews from public and critics. The movie collected more than Rs 25 crore in its two days after the release on October 28 in two languages. Karthi’s biggest budget horror comedy supernatural film is the Kashmora. The film has produced by Dream Warrior Picture with the whopping budget of Rs 60 crore. The movie had lots of curiosity by its promotional activities such as Kashmora First Look Posters, teasers, trailer and music album. The movie has also released in Telugu states without any big competition. But, it has been released in Tamilnadu along with another big film of Dhanush’s Kodi. Due to the positive reviews of both film, there has no biggest drawback in the Box office. Dhanush’s Kodi film has also released in Telugu last day on Saturday due to technical issues. So, Kashmora Telugu version had biggest opening. Gokul directional supernatural film got wishes from various celebrety especially from Karthi’s brother and actor Suriya. He shared his positive reviews about his brothers acting. The movie was released more than 2,000 screen in all over the world. 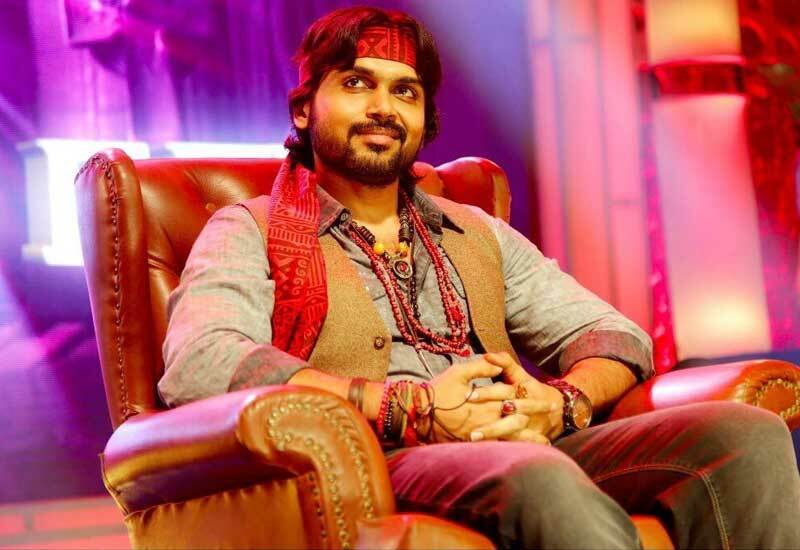 Especially, the film was premiere in USA on more number of screens when to compare with other Karthi’s film. Due to promotional, the film had biggest registeration on advance booking. The Kashmora movie earned Rs 8 crore in two days in Andra Pradesh (AP) and Telanagana (T). In Tamil Nadu itself, the film crossed Rs. 12 crore in two days. Rs. 2 crore in other states of India and Rs. 4 crore in overseas. Totally, the Kashmora earned Rs. 26.5 crore in Worldwide. The film has casted by Karthi, Nayanthara, and Sri Divya as lead roles. Dream Warrior Picture is the production company and it is Gokul’s supernatural story.